Howdy there folks! I am finally going to do my part two rundown from the CosmoProf North America convention that I went to last week. You can see my photo spam from the event with all the products and collections coming out soon here on Part 1. This is the real spiel, the lowdown on what really happened and just how spectacular it really was. I went to the conference with my beautiful older sister Clarrisa. She went to attend some skincare seminars for her business. We got to stay in the beautiful Mandalay Bay hotel where the conference was being held and got a slick rental car to cruise around in courtesy of her company. The flight there was not very fun though, I hate to fly! It makes me sick-o. 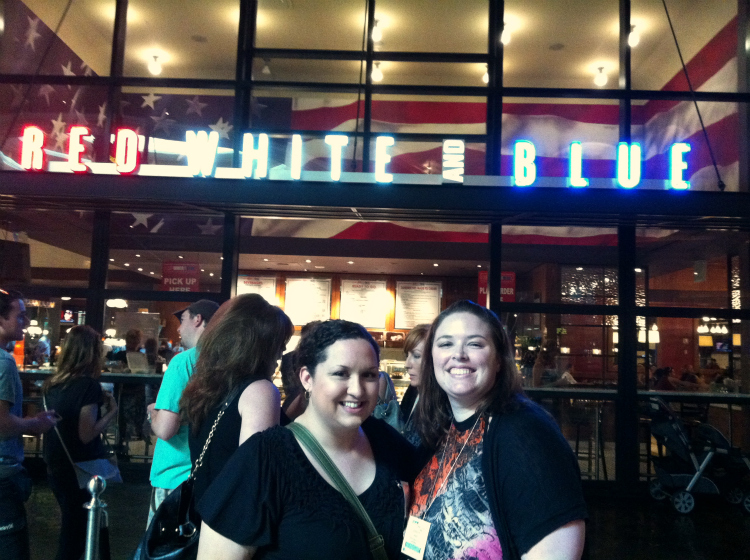 The first day is when I met up with a couple bloggers I know and strolled around the show floor like mad women. I was lucky enough to get to meet a few of the faces of some of my favorite brands. Katie Cazorla from the reality show Nail Files, was at the Nubar booth with Noubar himself, promoting her line of polishes by Nubar called The Painted Nail, like her salon. Let me just tell you that this woman ROCKS!! She is a huge ball of energy and smiles and jokes and just happiness. It is so infectious being around someone like that, I loved meeting her. She is so tiny and beautiful, just like a blingy Barbie! She showed us her new polishes that recently launched and they are all gorgeous, I NEED THEM ALL! Katie making me LOL, you know she used to be a comedienne! I also wandered into the OPI meeting room (even though I didn't have an appointment) with fellow blogger Jen and we got to meet Suzi! Holy wow, it was awesome. She IS OPI, guys. She was very nice and sweet. We also got a peek of new OPI collections that are on the horizon, visit Jen's blog to see them, I didn't manage to take any photos of them, boo. 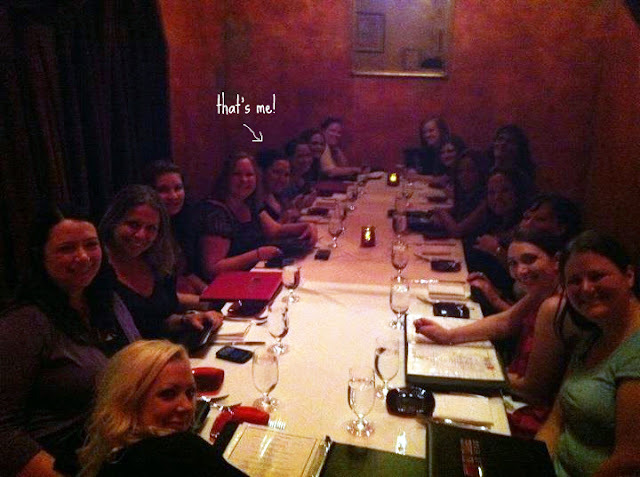 That night we went out to dinner with Katie Cazorla and a huge group of bloggers, some of my favorite ladies were there! We went to a Russian restaurant (i.e. tons of vodka) called The Red Square where stuff was expensivo, yikes, but it was fab. I just wish we'd have all played musical chairs throughout the night so we could've talked to everyone haha! Omg, I really cannot reiterate how much I LOVE Katie, she's beyond words. After that we had a heck of a time navigating around the show floor again, as the previous day had already done some damage to my poor feets! 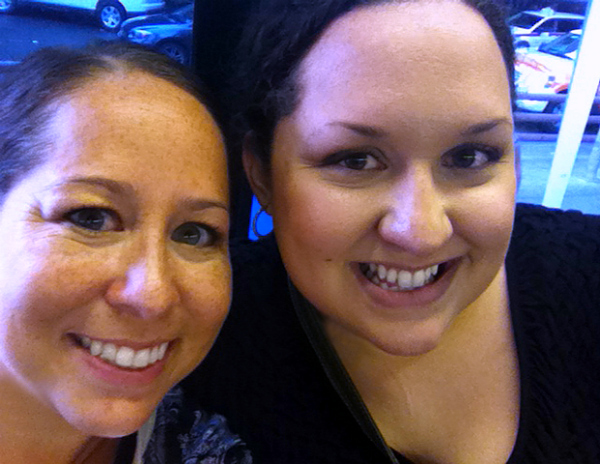 We visited a couple booths I hadn't made it to the previous day, like China Glaze, Color Club, and Orly/SpaRitual. Got mucho info on what is coming up with those brands. I took many photos and posted them on my first rundown of CP here. Edited: I completely forgot to put up the picture of Zoya Reyzis, the head of Zoya nail polish! OOPS! I didn't get a meeting with her but a lot of other girls did and they said it was great. She was so funny when we were taking the picture, making sure that it was taken "not including the waist" haha! Then me and Clarissa decided we needed to soak up some sun, so we headed out the pool! It was way fun, the Mandalay has a big wave pool and a lazy river which was really nice because it was freaking HOT. And if you know me at all, I DO NOT do hot haha. Lots of lemonade and quick dips in the pool helped keep me cool. P.S. the sand on their "beach" was so GD hot I know I freaking burned my feet on it, like almost blistered! Guess the sun didn't agree with me too much, because after a shower and change of clothes, I was not feeling great, a giant migraine had crept up on me. My sister decided to go shopping for a while and left me to rest in our hotel room. I was so very sad, but because of my migraine I missed going out for dinner that night with the girls and the brand manager for Jesse's Girl Cosmetics. They picked everyone up in a huge limo and took them to dinner at a nice steakhouse. I am told it was a great time and they even got to meet YouTube beauty guru Julie G.! I am still bummed I missed it :( You can see some photos of the event on Maria's page here and on Gia's page here. The next day we met up with some of the girls in the CosmoProf press room to say our goodbyes. It makes me sad that I don't get to see all my girls all the time! I really love them all so much, they're wonderful ladies. I wish I'd have gotten more time with them all. Thanks to Krystal from Polish Galore who organized our little get-togethers with Katie and Deborah!